The Aboriginal lands of Kakadu and Arnhem Land occupy an area of around 120,000 square kilometers in size, amazingly it's home to less than 30,000 people. This is an area larger than Denmark, Switzerland and Belgium combined! The size, remoteness, low population, diversity of environments and the ongoing protection of these areas makes it one of the worlds most pristine terrestrial and aquatic ecosystems. With over one third of Australia's bird species, about one-fifth of Australia's mammals and around 2000 species of plants there's no wonder that Kakadu has been World Heritage listed for its natural values. 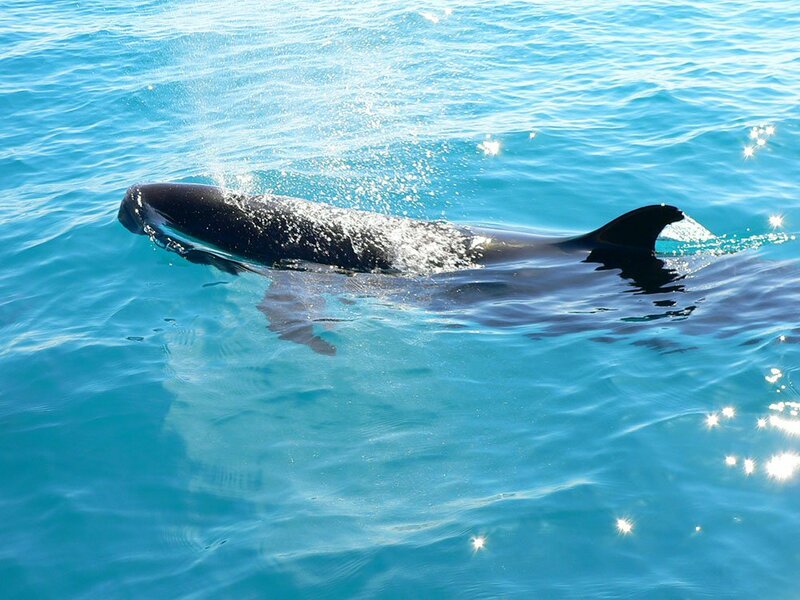 One of the best ways to experience the diversity of wildlife and get a snapshot of such an enormous region is to book yourself on a cruise on one of the many waterways that are plotted throughout the landscape. 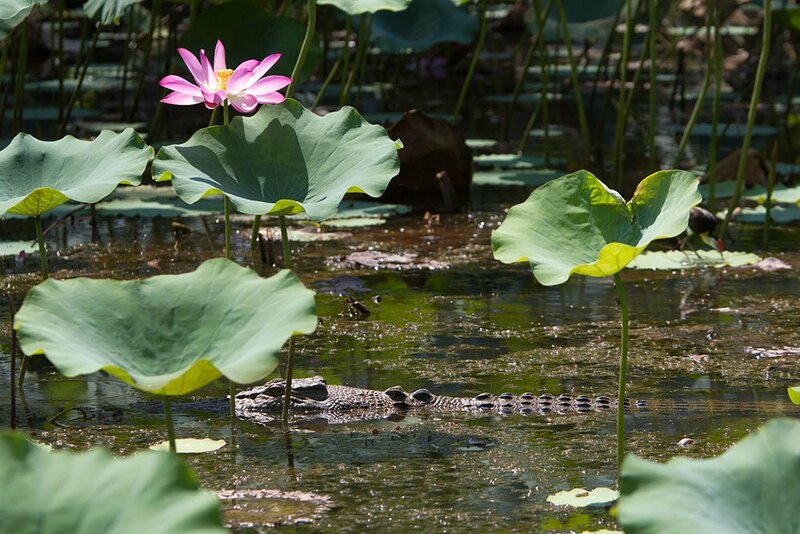 Kakadu has a number of wildlife cruises on the rivers and billabongs within the park, a great eyeopening introduction to the diversity of flora and fauna on offer in the Top End of Australia. On a cruise such as Yellow Waters near Cooinda in Kakadu, you can come up and close with 30-50 bird species within a 2 hour time frame. Mix that with a large population of crocodiles, you never know what lies around the next bend! Cruises on the East Alligator River which is the natural border between Kakadu and Arnhem Land focus on wildlife as well as the areas rich history and Aboriginal culture. A short cruise from the departure boat ramp takes you to one of Australia's most famous river crossings, Cahills Crossing. At any one time you can see people fishing from the crossing for Barramundi, attempts (some failed) to cross the river by vehicle at extreme depths and all the while numerous 5m crocodiles keeping a close eye on all the activity. If you wish to travel further into the wilderness and experience the coast of Arnhem Land, there is no better place than the Cobourg Peninsula in the far north-west of Arnhem Land. Home to several clan estates of the Iwaidja speaking people, this area is not only protected by a terrestrial national park (Garig Gunak Barlu NP) but also protected by an extensive marine park. Access is by permit only which you can organise through the park headquarters or alternatively join a multiple day tour from Darwin. This marine park is the largest in the Northern Territory and is home to some of the worlds highest densities of dugongs, dolphins and saltwater turtles. The water is often crystal clear and great for wildlife spotting although don't be fooled, swimming is not advised as saltwater crocodiles, sharks and box jelly fish inhabit the ocean. Marine life cruises depart daily. For more information on cruises throughout the Top End or for general travelling advice please visit www.venturenorth.com.au or call (08) 89 275500.